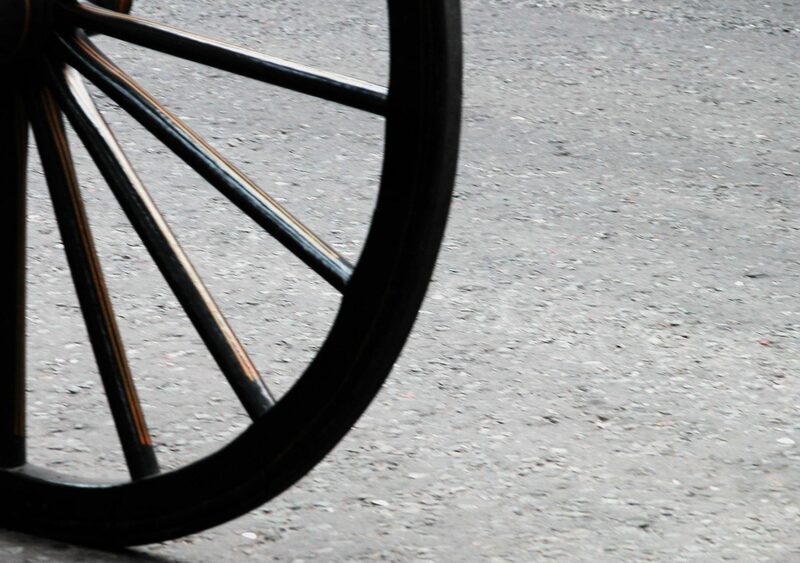 I’ve been noodling more about “developing an evangelism strategy in the local church.” It seems to me there are three main spokes to this wheel. I’d like to know what you would add. 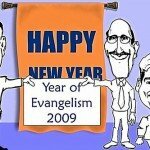 Do you have an Evangelism Strategy for 2009? This year, I want to map out something different and suggest some planning ideas for church level evangelism. 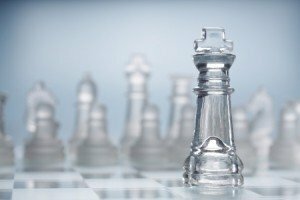 If you are developing an evangelism theme or some kind this year, what is your strategy? What is the measurable evangelism goal? Do you want 10 adult conversions? Do you want to read 10 books? Do you want to launch a food pantry and teach your volunteers how to share the gospel while sharing food? Do you want to have 10 people trained in personal evangelism skills? Do you want to . . . . . ? In other words, what does done look like? Should we focus on numbers? I agree with that 100%. But defining numbers give us project definition. This gives us goals for prayer, and unfolds plans for ministries. Target numbers are not the end-all, but rather a direction in which to aim. A church of under 50 members (a survey of my readership in December 2009 showed that nearly 25% of my readership is involved in churches under 75 members) may not have a realistic goal if they want to add 100 new members through profession of faith in the coming year. I recently coached a small church pastor as he was brainstorming about “The Year for Evangelism” for their church. We are clarifying my role as a evangelism consultant and help them develop their evangelism strategy for their 19 member country church. I kept asking him, what does successful evangelism look like for your church at the end of 2010? Run a Personal Evangelism training course. Preach an Evangelism Sermon Series. Run 3 evangelistic small groups. Have 4 community based servant evangelism projects. The ideas started flowing once the pastor landed on the realistic goal of 10 new members through profession of faith. These projects are all interconnected, but flow from the idea of how to reach 10 new believers. I don’t want to develop your plan for you. You and your church need to prayerfully develop your own plan based on your own context and God’s calling for your church. Part of coaching is helping your brainstorm process and ask the questions. What each of those looks like will be specific to your context and the leading of the Lord you discern in prayer. If you haven’t already done so, carve out some time where your leadership will pray about the year of evangelism. 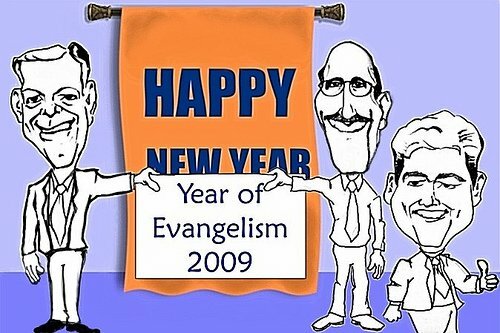 What does the year of evangelism look like for your church? What is God calling your church to do to express the expansion of the kingdom of God in your particular locale? What particular programmatic expressions is God calling your church to do? What does the your Evangelism strategy look like for your congregation? Share with us in the comments below. If you would like some coaching help, I’d be happy to provide that service. See our teleconferencing services section for more information. I’ve been reading Evangelism Where You Live: Engaging Your Community and I think it is a must read book for pastors of struggling churches. It’s a book that is based out of years of practical experience, and has much to say to how a church should engage it’s community. How does your church connect with the community? Is your church over programmed but not developing mature Christians? 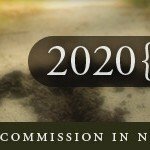 Is your church known in your community for it’s service? Would the community notice if your church closed its doors? Are your members leveraging their community service for as times to share their faith? “God’s Plan for Sharing” is meant to encourage Christians to prayerfully and thoughtfully engage in the most effective approach for making Christ known. GPS lays out four biblical mileposts to lead your church outward with the gospel in the discipline of evangelism. 1. PRAYING: Every church praying for every lost person. 2. ENGAGING: Every believer sharing as a trained witness. 3. SOWING: Every lost person receiving a complete witness. 4. HARVESTING: Every church harvesting and celebrating every salvation experience. Here are some ideas to get your church praying for people in your community. Prepare God’s people (your congregation) to faithfully pray. Here are some helpful resources. Mobilize your church to prayer walk your community. Here are some helpful resources. Continually discover your community and examine their needs. Here are some helpful resources. Pray for the people in your community. Here are some helpful resources. Send your church leaders to an evangelism training seminar. Host an Evangelism Training Seminar. Find an evangelism program like the Alpha course and implement it. Conduct a church hospitality assessment and seek ways to improve the welcoming of visitors. Set a goal for the number of professions of faith, conversions, or baptisms (whatever statistic is an important measure of growth for your church or denomination). Host a regional Evangelism training event. Invite speakers on Evangelism to share a passion. Set your outreach events that are intentionally geared towards your target audience. Host “Invite a friend” Sundays. 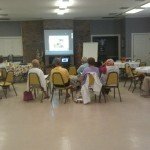 Develop your holiday sermon series (Easter, Christmas, Mother’s day, etc)? Read at least 3 books on personal evangelism (see our Evangelism Books Page for some ideas). Pray daily for those who do not know Christ. Look for the daily opportunities to have a conversation about your faith. Think through your witnessing conversations and consider what you might have done differently. Journal your evangelism conversations to reflect and learn. Learn a default setting — a basic evangelism gospel script. Instead of counting conversions, count the number of conversations you have. Review your day to see if you missed an opportunity to share your faith. Build genuine relationships with your neighbors. Grab our Free Evangelism Newsletter and you can stay in touch with at least one source that will be reminding you monthly about evangelism to help keep your passion high. 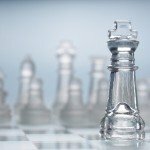 If you need some help developing a plan, consider a mentoring or coaching program. See the Evangelism Mentoring page to explore our services. 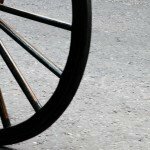 Do you Need Evangelism coaching?